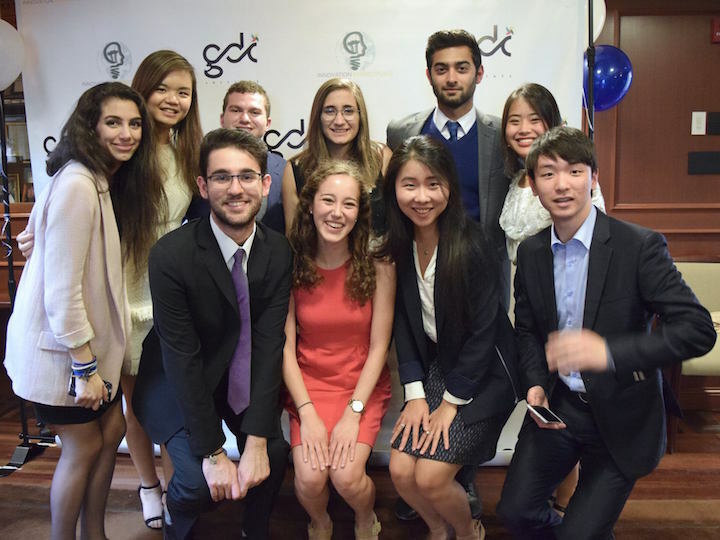 On April 8, 2017, the Georgetown Development Initiative (GDI) hosted the third annual Innovation Marketplace, a global development case competition open to undergraduate students across the nation. Innovation Marketplace gives students a platform where they can exchange ideas on common global development themes—a platform that had not existed before the event’s inaugural year in 2015. Over 35 teams comprised of students registered and submitted proposals for Innovation Marketplace 2017, indicating a 75 percent increase over 2016 participation. The 2017 proposal topics fell under one of four areas: Water Security in Rural Communities; Challenges in Microfinance Institutes and Microfinance Vehicles; Female Empowerment through Family Planning Services; and an open category. Of the 35 registered teams, eight teams were chosen by the steering committee to participate as finalists. Four expert development practitioners were invited to join the event to serve on the panel of judges. Among the esteemed judges were John Hurley, director of international debt policy at the U.S. Department of Treasury and visiting policy fellow of the Center for Global Development; Sara Pinto Barbosa, development practitioner at the Pan American Health Organization; Sonja Davidovic, financial officer at the International Monetary Fund; and Alejandro Pardo Vegezzi, principal specialist at the Multilateral Investment Fund and Inter-American Development Bank Group. 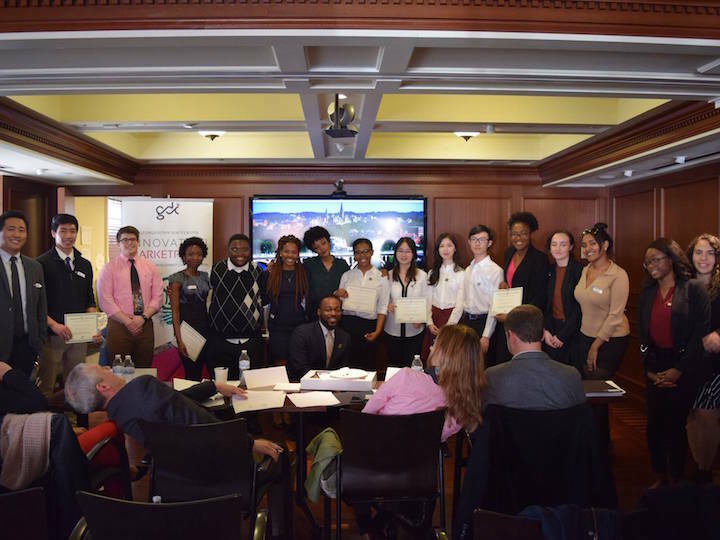 The event, which was held at the Mortara Center for International Studies, began with opening remarks by GDI presidents Amy Zhang and Stephanie Huang, followed by the finalists’ presentations. Three of the eight finalists proposed solutions to address water security issues, and three developed proposals to address female empowerment. The two remaining teams presented proposals in microfinance. Their 15-minute presentations were followed by a series of questions from the judges. Many participants remarked that the question sessions were as exciting and enriching as the presentations. The judges offered their expertise, providing the participants with honest and insightful comments that challenged the teams to better understand the complexity of development issues. After a lunch break, Executive Director of the Beeck Center for Social Impact and Innovation Sonal Shah delivered a keynote speech about innovation in development. Her inspiring comments encouraged students to think creatively about what it means to be future leaders in the field of global development. The event concluded with the naming of awardees. The winning team from Pennsylvania State University, Aurora Cooling, addressed post-harvest loss reduction in Sub-Saharan Africa. Their proposal was centered on an innovative cooling and refrigeration system, which combined natural ventilation with both evaporative cooling and solar powered air extraction. This technology enables farmers to place their crops in storage facilities for up to one week. With the support of the Office of the Vice President for Global Engagement, Innovation Marketplace 2017 showed improvements in the quality of presentations and increased participation from different universities. This pioneering event has now been solidified as an annual tradition of the GDI and the university.